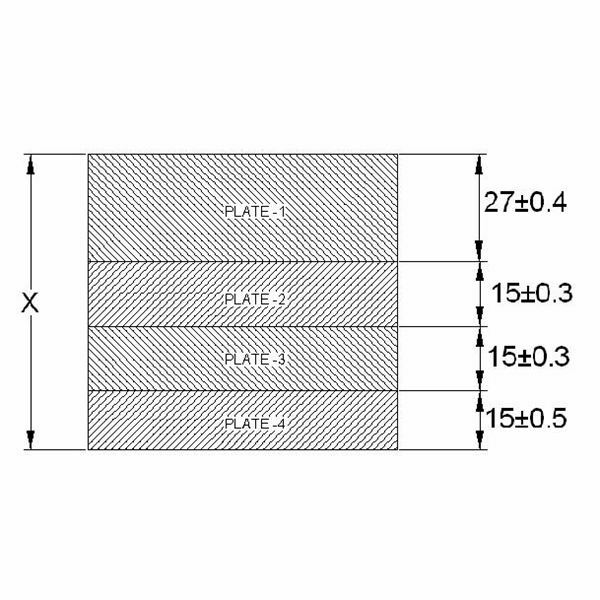 Shafts are indispensable mechanical power transmission elements that are mainly used in for transmitting rotary motion and torque from one point to another point. The various other mechanical elements like gears, cams, sprockets, etc. 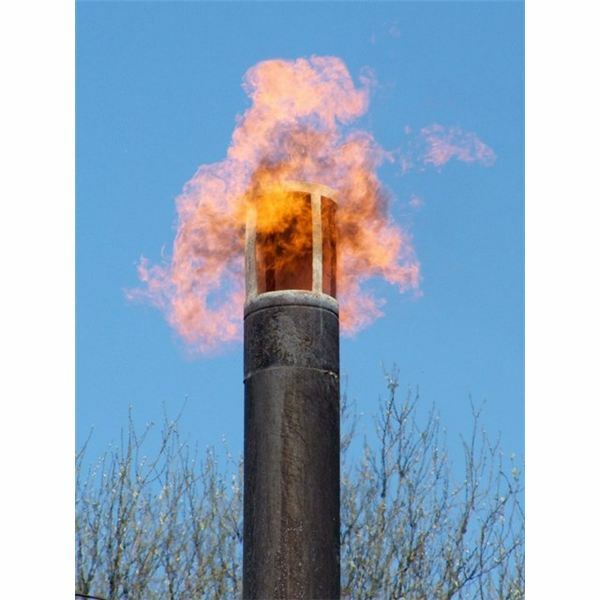 are mounted on the shaft at the required locations. One of the major mounting methods used for connecting such mechanical elements in place is by keys. A shaft key always requires a key seat both on the shaft as well as on the mechanical element. 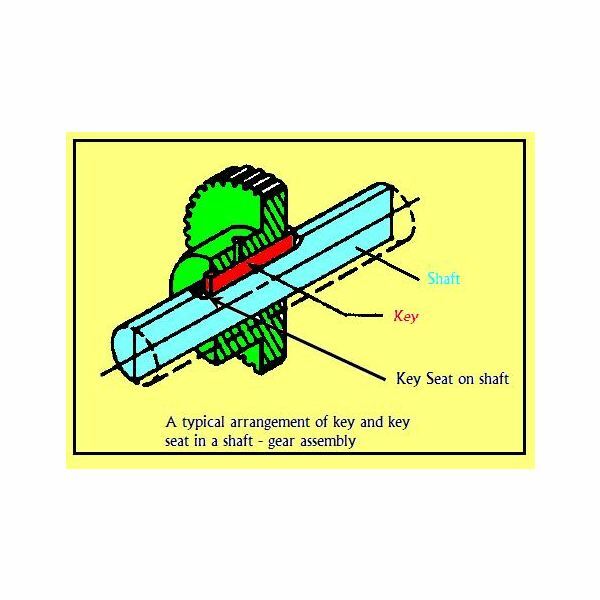 A typical key along with the key seat in both the shaft and the mechanical transmission element is shown below. The key is a small element whose shape tends to vary based on its type. 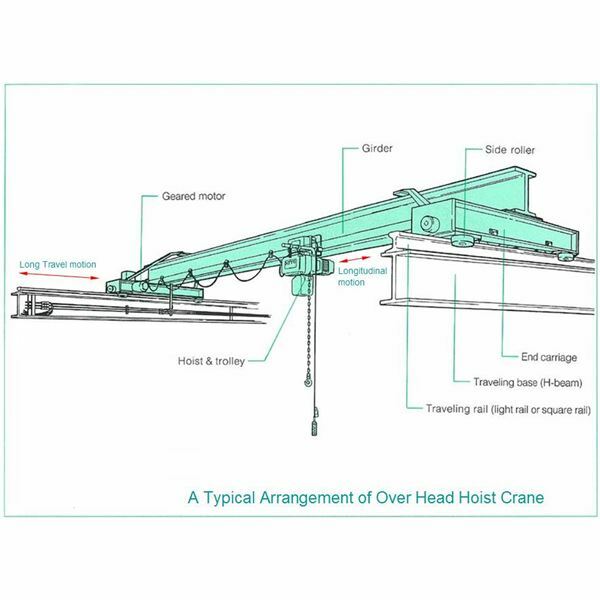 It is basically used for transmitting rotary motion and torque. 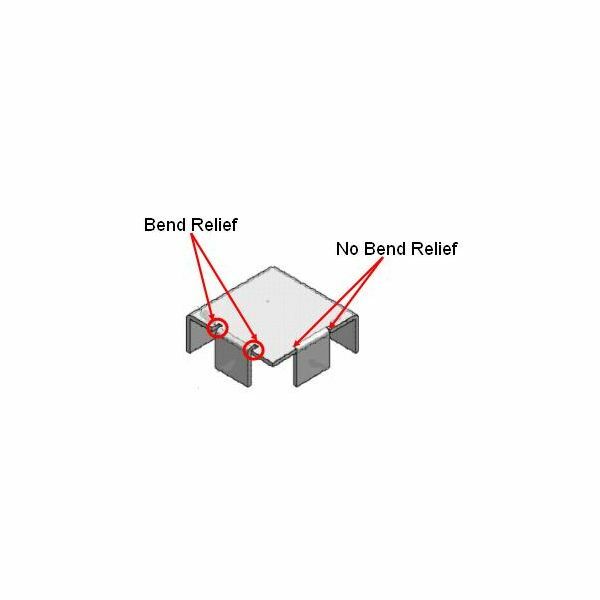 In certain cases it also tends to act as a fuse by destroying itself before the shaft or the mechanical element is damaged completely. 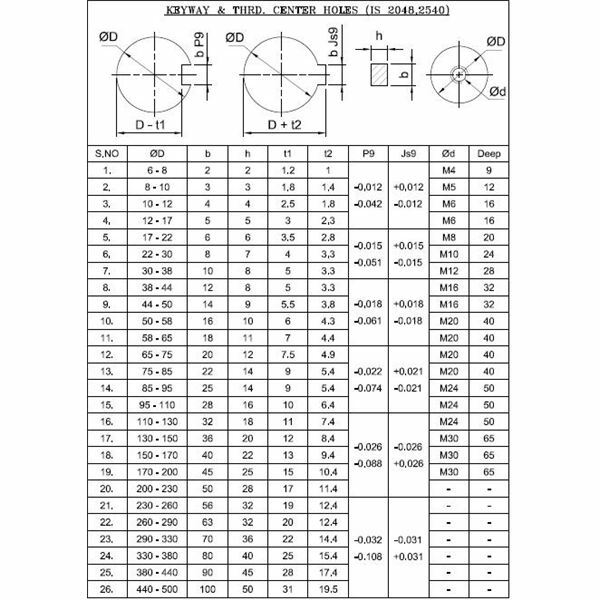 The types of keys are determined based on the manufacturing method. 1. 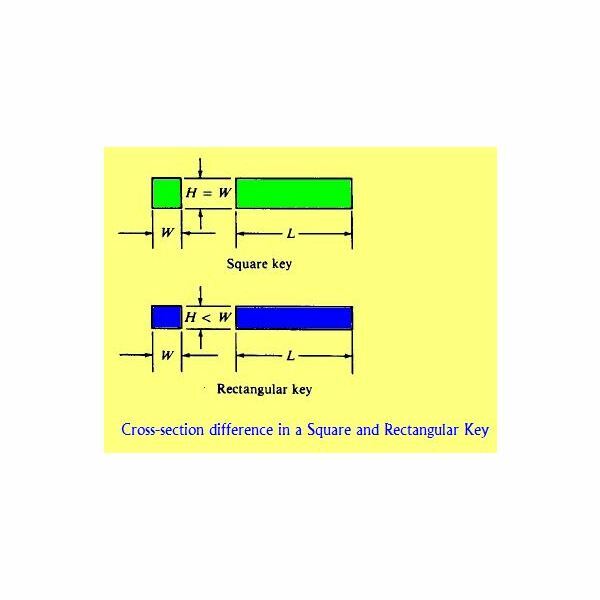 Square and rectangular Parallel keys: The cross section of the key is either square or rectangular and hence the name. This is the most standardized version of keys currently being used in all applications. The size of the key to be selected based on the shaft size is already been standardized for rectangular keys. The chart is enclosed below as a ready reference. 2. 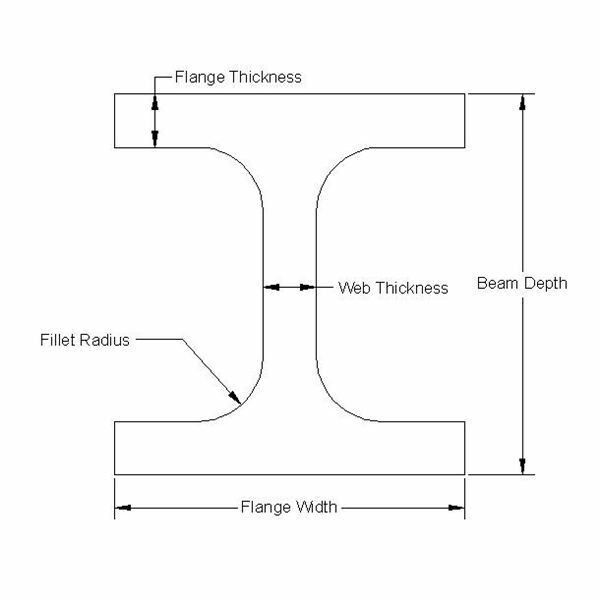 Tapered Keys: The tapered keys have a rectangular varying cross section. The basic idea of using taper keys is for mainly for the ease of assembly and removal of the key. Further due to the tapered section of the key along its length, it acts as an axial retainer for the mechanical power transmitting element. 3. 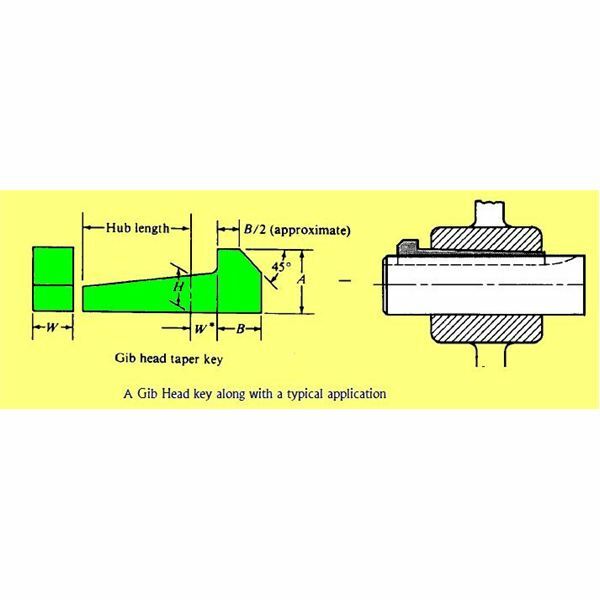 Gib Head Keys: This type of key is quite similar to the tapered key except for a head which is provided at the bigger end of the key in order to facilitate easy removal of the key. This type of key is used in areas where frequent removal of the key is necessary. 4. 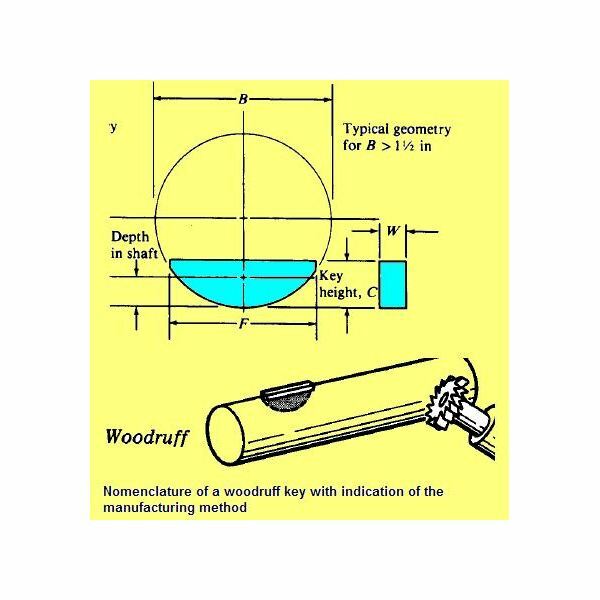 Woodruff Keys: The woodruff key is so called because of its manufacturing method. It consists of a semicircular key seat on the shaft surface which holds the key. The key is in the shape of a section of a circle. 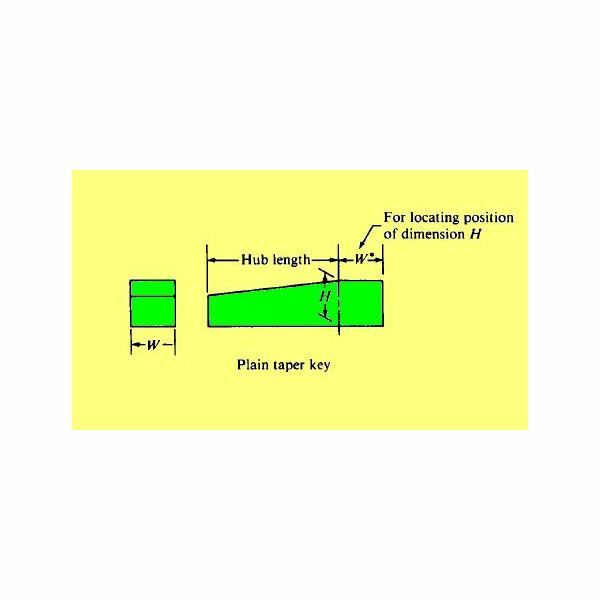 This type of key tends to have a lesser shear strength than compared to that of a rectangular or square key. 5. 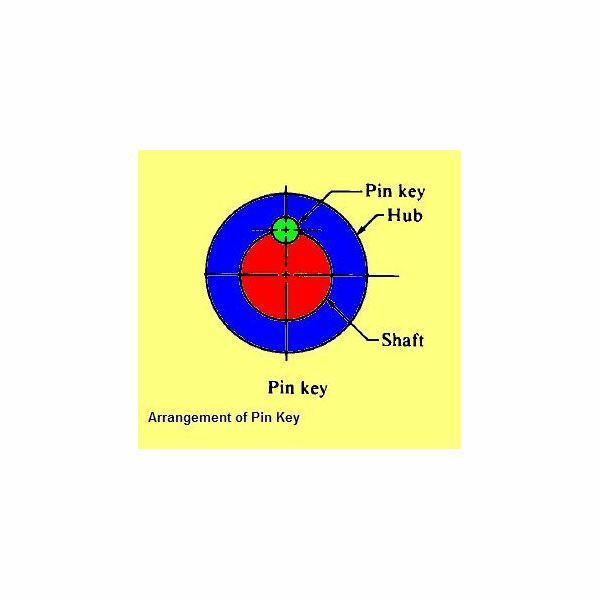 Pin or Circular Keys: Here a circular pin is used in the place of a key. The shaft and the hub both posses a semicircular hole in them to accommodate the Pin key. The advantage of this type of key is that the stress concentration induced due to the key is significantly much less. 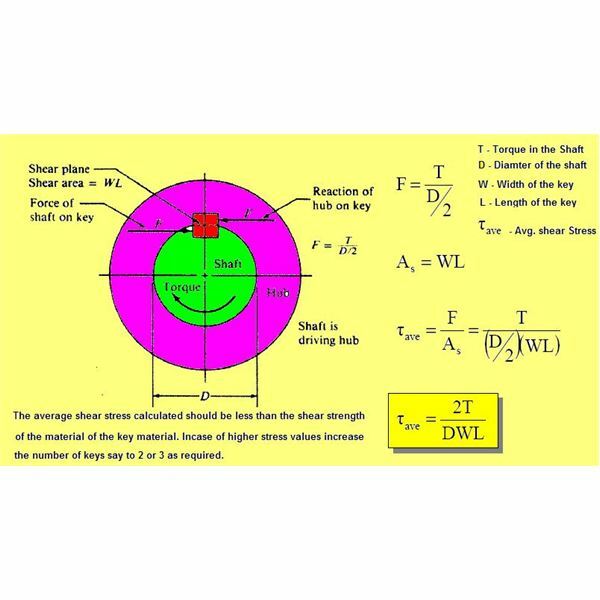 The method of calculating the safety of the key for transmitting a particular torque is explained below in the figure.